Wrestling season just ended this last week so I like to take the time to reflect on how it went. This was perhaps the most challenging team that I’ve had the privilege to coach. Seems like every week there was some new drama between the kids that exposed every ounce of patience in me. Ironically, this was a very successful team regardless of the divisiveness at times. Amidst all the challenges and success, this year seemed very unique. I witnessed a few athletes who chose to set their image aside for their opponents. 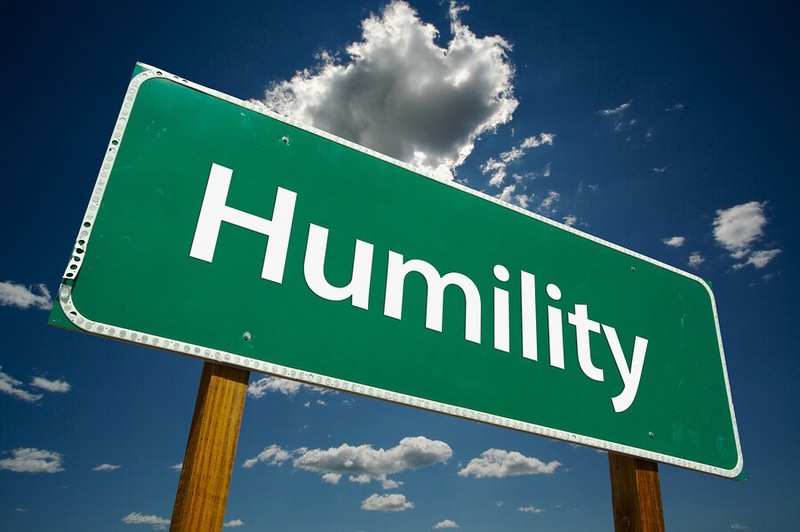 Sports teach kids many positive character traits but unfortunately humility is not one of them. That is something that can only be learned by example and I’m hoping that these young men will be just that for all those who saw what they did. We had a boy on our team who was a first time wrestler and faced some physical disabilities as well. Wrestling is a physically demanding sport as it is, so this kid faced an uphill battle every match. Time after time he lost and he began to get discouraged. Two of his opponents would give him the encouragement he needed to keep going. Before I tell you what they did let me just mention that they were both the best wrestlers in his weight class. Needless to say both of these kids could have toyed with him and embarrassed him without breaking a sweat. Instead, they turned a possible humiliation into a display of humility. In both matches the opponent of our wrestler allowed him to take them down and get escapes and score several points on them. They didn’t make it super obvious either. They allowed our kid to keep the match close all the way to the end. When the matches were over, our kid walked off the mat with his head held high and a big grin on his face. You could tell he was so happy. Those two losses were his biggest victories of the season. Two weeks earlier I had read about a high school wrestler who was undefeated and ranked #1 in the state. He was wrestling a kid with Down syndrome and actually let the kid take him down and pin him. He gave up a undefeated season to make a mark in a kids life that he’d probably never forget. These stories give me hope for the younger generations and for athletes who are bombarded with messages to pursue perfection and awards. Humility is a powerful force. It can change someone’s life forever. The best example of humility is Jesus Christ. The night before He would be crucified, He knelt down to wash the feet of His disciples, even the one who would betray Him. Jesus did this obviously knowing who would betray Him and when. Jesus even says that He came to give us the ultimate example of humility so that we too would lay down our lives for others and never elevate ourselves above others. If God in the flesh could pay the death penalty for my sin, then I should not hesitate to humble myself before those around me. The movie was called Everest, recently released in 2015. The story surrounds a tragic expedition in May of 1996, with the goal to reach the summit of Everest. Climbers from two commercial expeditions were caught by a violent storm, engulfing the adventurers in one of the fiercest blizzards ever encountered by man. It quickly turned into an epic battle to survive against nearly impossible odds. Sounds like the making of a great film doesn’t it? Well it certainly was very well done and I believe it captured the essence of their struggle on top of the world’s most enticing mountain amidst nature wrecking havoc. However, this is not meant to be a movie review. Spoiler alert: Several people die in this film. One of those is a man who is leaving behind his wife who is seven months pregnant. Being a father and husband myself I cannot imagine risking my life to reach a personal goal, or to be able to say “I did it” for any such accomplishment. I just don’t understand it. The people in the movie reached the summit, they raised their arms, and shouted “Yeah, I made it!” Then they had to start climbing back down because they were literally dying. I don’t want to take anything away from those who have accomplished this incredible feat, but what if they were among those 150 plus bodies still on Everest? What if their families and friends lost them because they felt the need to stand on top of a mountain? In the movie, one of the climbers is a journalist, Jon Krakauer, who is known mostly for his book “Into Thin Air” which describes the event that the film is based on. Part of me believes that Krakauer wrote that book to discourage future expeditions-but it hasn’t . Two even more tragic expeditions happened after the one this movie is based upon. Anyway, In the movie he asks the climbers the simple question: “Why? Why climb the most dangerous mountain in the world? ” No one can really answer. They stumble through the question. One man says that it is to inspire children to try and do the impossible. Others say that they do it because the mountain is there. Krakauer is quoted saying that the Everest climb was the worst mistake of his life and that he suffered from PTSD for years afterwards. I’m sure many climbers share in his sentiments. I understand why people risk their lives to save others, charge into battle to defend the helpless and innocent, run into a burning building to rescue someone trapped, working a life risking job in order to provide for your family, or take a bullet for someone. John 15:13 says that, “Greater love has no one than this: to lay down one’s life for one’s friend.” Our lives are no more important than anyone else’s life and to give ours for others is the greatest expression of love their is. But to risk your life to stand on top of a mountain in no way applies to using your life for the betterment of others. It may seem like I’m downplaying what it means to climb Everest, but let’s be honest, it means risking your life to say you stood on top of a mountain. What is that worth? Really…what is it worth? Your family? Your future? Your limbs? Your life? I don’t know. Maybe I’m struggling with this because I have an extremely high value of life. Ephesians 2:10 says “For we are God’s handiwork, created in Christ Jesus to do good works, which God prepared in advance for us to do.” I don’t think we were created to use our lives on personal accomplishments that could end our lives. I know that this applies to far more than climbing Mt. Everest. My wife challenged me the night I vented to her, about ways that I may devote my life or risk my life for things that don’t matter in the eternal perspective. I have spent about 28 of my 33 years in some way devoted to the sport of wrestling, whether training, competing, or coaching. I admit, looking back, that I poured far too much of myself into that sport. It became a lifestyle not a hobby. I don’t think that sports are a bad thing. I believe they teach people many valuable lessons, and some bad ones as well. I told my wife that wrestling isn’t life threatening so it’s not comparable to hiking Everest. When in reality, the risk is there. Many have become disabled or suffered from the effects of concussions and various other injuries that plague them the rest of their lives. Very few have actually died in that sport, or most other sports, but the same principle applies. People, like myself, devote their life and health, and put relationships at risk in order to accomplish a championship or records. Others risk their families, health, character, etc…in order to become wealthy. I know a young couple who do network marketing and they just reached a major milestone. Both are bringing in a lot of money. But at what cost? They never see each other, or live life right now. They are sacrificing the now, for their future. Which none of us are guaranteed. I have a student who just won a state championship in wrestling. He spent countless hours in hard work to reach that pinnacle. But now that it’s done, what does it matter? He will have a gold medal hanging on his wall and maybe stories to tell for years to come but in the end, what does it matter? In the movie Everest, one character, Beck Weathers, said that a dark cloud followed him in life, accept for when he was ascending a mountain. I believe that dark cloud he spoke of is just one illustration of the vacant part of all people who are searching for that missing thing in their life. A major problem is that nothing on this earth will or can ever fill that need. Would you agree that there is a void, a huge one, in all of us? I spent years of my life trying to fill it. Some try to find it through thrills, accomplishments, wealth, or even addictions. I think when being honest, everyone would admit that none of these can satisfy. That’s because they aren’t meant too. As previously stated, we are created by God. We are His workmanship. This means we’ve been handcrafted by the Creator of all things. We are a masterpiece of the greatest Designer of all time. With that said, we are designed for a purpose. Our purpose is not to climb a mountain or to be a champion at whatever sport or make “X” amount of dollars. If it were, what a sad and empty purpose that would be. Ephesians 2:10 says that we are created for good works that God has already prepared for us. What type of good works does the bible talk about? Loving others as ourselves, serving others, laying our lives down for others, and sharing the gospel of Jesus Christ. Nothing can be more fulfilling or rewarding than a life devoted to Christ. Genesis 1:27 says that God made us in His image and apart from that image we are nothing. Apart from Christ we are nothing. Apart from Christ our lives will be the sum of standing on mountaintops which in the end will mean absolutely nothing once we have eternity laid before us. A life that is devoted to serving Christ and loving others is a life that never, ever ends. It is a life that has lasting impact on those we leave behind as well. I guess what I’m trying to say is, what are you willing to trade (and what am I ) in order to reach your mountaintops in life? What cost are you willing to pay for temporal things?